When you need to clone an SD Card, you want it to copy quickly and accurately -- if you do it often, you'll want to check out SD Card cloning software for Mac. SD Clone 3 includes new features for cloning memory cards faster and easier than ever, including enhanced capabilities to shrink SD card data, verify card capacity and clone a single card to multiple cards simultaneously. SD Clone 3 supports flash media used in digital signage, industrial machinery, mobile phones, cameras and many other electronic devices. SD Clone 3 supports SD, micro-SD and other flash media formats commonly used in embedded devices, cameras, digital signage and other electronic devices. Internet-connected (IoT) sensors, cameras, gaming consoles, mobile and other embedded devices rely on removable flash media to boot operating systems and to store data. Flash media can be variable quality and subject to loss or damage. SD Clone 3 for Mac makes it easy to verify, back up, clone and restore flash media data on the Mac. SD Clone's shrink feature makes it possible to safely clone larger cards to smaller cards. During cloning operations, SD Clone 3 automatically expands the file system to use all available space on the card. SD Clone's Supercharged Raspberry Pi Mode is optimized for cloning Raspbian file systems quickly and easily. 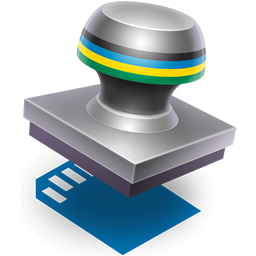 New in SD Clone 3 is the toolbar for quick access to frequently used functions for expanding, shrinking, ejecting, verifying, locating image files and links to online tutorial videos and popular image repositories. We are thrilled about the new features in SD Clone 3 ... It's a Swiss army knife for flash media backup and duplication. SD Clone 3 retails for $39.99 USD (Personal license) and a Pro license for $99.99 USD. A free download is available on the Twocanoes Software website. Purchase includes one year of maintenance and technical support. A free trial of SD Clone 3 is available on the Twocanoes web store. Visit Twocanoes Software online to learn more about SD Clone 3. Naperville, Illinois - Based in Naperville, Illinois, Twocanoes Software was founded by Timothy Perfitt in 2012. Focusing on iOS and OS X exclusively, Twocanoes provides customers with software to perform complex IT tasks with minimum effort. Copyright (C) 2017 Twocanoes Software, Inc. All Rights Reserved. Apple, the Apple logo, iPhone, and iPod are registered trademarks of Apple Inc. in the U.S. and/or other countries. Other trademarks and registered trademarks may be the property of their respective owners.